It looks to me that it’s one of those erythristic mutations that makes it unable to produce black pigment. This is behavior that golden retrievers aren’t supposed to engage in. Does anyone notice the parallel between this partnership and the partnership that Schleidt and Shalter suggest existed between ancient hunter-gatherer man and wolves? 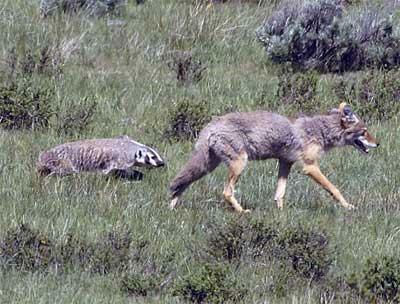 Granted, coyotes are not wolves, and people are not American badgers. However, it does show that members of the genus Canis are capable of working together with other predators– even predators with whom they are in direct competition. I know you were expecting something else. 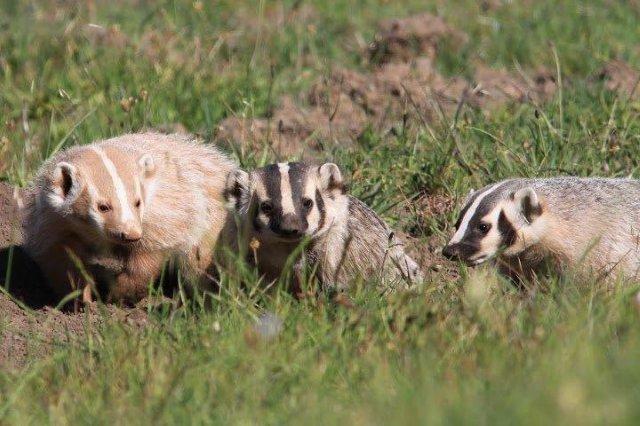 And yes, that’s an American badger. We don’t have these in my part of the country.